What is the backlash against PETA about and why don’t they want you owning a dog? Usually I don’t look into these stories that much, because they are mostly click bait, but unfortunately this more increasingly radical organisation does occasionally make some solid points. I would never advocate banning ALL people from owing dogs, but some of their reasoning does go some way towards addressing irresponsible dog ownership. The crux of the latest PETA ‘scandal’ seems to be that they believe that dogs should not be ‘owned’ by anyone, and if you have to have a dog, you should use it for working purposes, which it is believed most of the original dogs that evolved from wolves were originally used for. Of course this reduces the total set of breeds that we have now (over 400) to only a handful of hunting, protection and hunting dogs. Potentially even lesser apt retrievers might go – because not a lot of owners of retrievers and sporting dogs use them regularly for their original reason for evolving. Toy breeds, and the general dog class would of course go. Is this draconian, or is it a push back against people who literally use their dogs as toy or child substitutes, destabilising dogs and making the dog’s life miserable? In the dog training world that I believe in, dogs prefer a stable strong human leader who gives guidance and direction on behaviour and attitude at home and in off lead dog parks. If you try and befriend a dog too much without discipline, it will not make a very good social dog and is more likely to cause fights among dogs and humans. 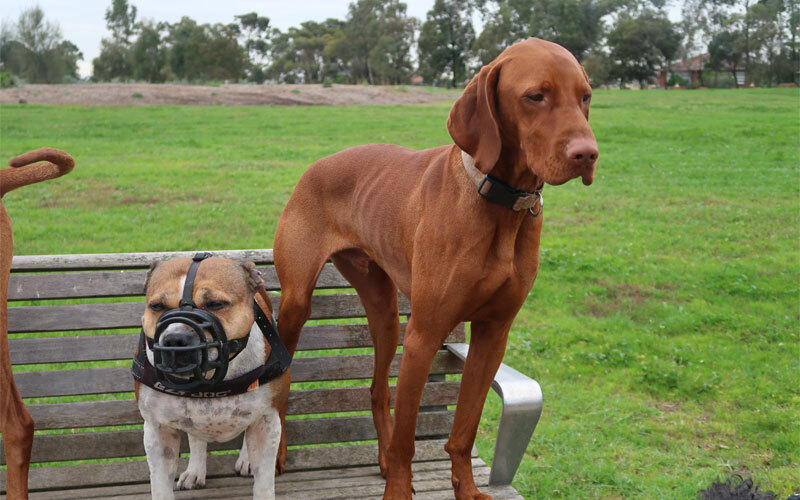 The only very grey area where I think the PETA argument falls down is dogs used for protection. Anyone can cite that they own a dog for protection. Everything from a solid bark, to an imposing figure behind an opaque door. People often purposefully destabilise a dog, make sure it is not social to protect their property or illegal activities, this is clearly not for the benefit of the dog or society. Curiously much of the ‘uproar’ I have read against such hardline philosophy seems to be from dog trainers who themselves are much more right wing that I would prefer many owners be with their dogs. The reason I believe that some trainers are talking negatively against PETA (besides getting popular press to push their own clubs), is to funnel more people with powerful/dangerous dogs towards having them train them. I agree that if you have a massively powerful dog or one that is on dangerous lists around the world or local councils, we should at least discuss the option of mandatory training and potentially monitoring to ensure that any owner of them has the understanding of how to handle these dogs. But there are NO programs or requirement for this in Australia, LET ALONE the equally important issue of making sure these dogs are social so they don’t have a preference to bite or fight, as first response. Owning a massive powerful dog might be great for ego, great to protect against ‘anything’, but what happens when these dogs (if never socialised) get out? Dog training does not alone socialise or make a dog society friendly. The latest PETA statements are about ‘uncoupling’ dogs from the burden of human amusement, but if people understood there is a responsibility to regularly walk your dog off lead (socialise them) so that they had a great quality of life, then there would not be a majority of unhappy or unbalanced or not complete dogs in the world. PETA might not have anything to complain about. The excuse most non off lead dog walkers use is usually connected to time and money, but often its more about priorities. I have never considered a dog to be rescued when they are just taken from a shelter to a back yard or inside a house and fed and left with humans or by themselves (no social dog contact in parks). I would like to say its that people don’t know what basic rights and needs dogs have, but there is enough media attention and TV programs out that explain the pack nature and social nature of dogs so that most average intelligence people can ‘get it’. Perhaps that is why people are concerned, that if PETA gets the ear of legislators, owning a dog might actually becomes a challenge and real responsibility? And no, that is not a radical idea.